KJH is a Melee Fox main from Detroit, Michigan. He has had very solid performances at tournaments such as Fight Pitt V, The Come Up, Super Smash Con 2016, and GENESIS 4. He is currently ranked 2nd on the Michigan Melee Power Rankings and 25th on the 2018 MPGR, boasting wins over top players such as SFAT, S2J, Duck, Swedish Delight, Lucky, AbsentPage, La Luna, and PewPewU. 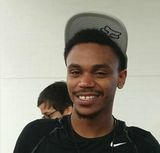 Unlike most Fox mains, KJH is known for his proficiency in the Samus matchup, having wins over most of the prolific modern Samus mains, and is widely regarded as one of the best Fox mains against Samus. Generally speaking, KJH is characterized by extremely good technical ability and matchup knowledge vs a lot of characters, especially Samus, Peach, and Jigglypuff, whom he had a lot of experience playing against through practice against Prince Abu, Kalamazhu and Duck. His good game knowledge also shines through in other matchups. Neutral wise, KJH is generally neither overly aggressive nor defensive, adopting a middle ground playstyle reminiscent of foxes like SFAT. His punish game is quite optimized, with strong tech chasing capabilities, especially on top platform. Rubicon 12 July 23rd, 2016 3rd 3rd Dart! This page was last edited on April 21, 2019, at 23:35.